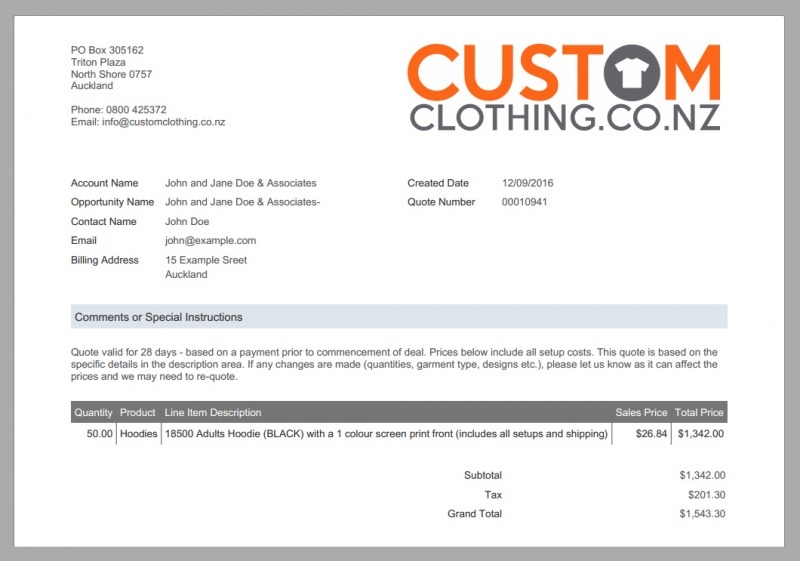 There’s a lot of screen printing and embroidery companies in New Zealand and it seems that they all have different ideas on how to quote, what garments to use and what type of process to use. A lot of the time the reasons a company is quoting in a particular way is because they are limited to that particular service/garment, we don’t have these limits. We can provide whatever printing/embroidery service you need and we have wholesale agreements with all the major wholesale brands available in New Zealand. Below is a quick 4 point check list, that will help you decipher the quotes you are collecting, and help you reach your ideal outcome. Bulk Order Specialists: From ten garments to thousands, get a quote for custom t-shirt printing or embroidery now. We will get back to you within 3 working hours, guaranteed. Some companies will just quote on the absolute cheapest garment on the market, regardless of whether it shrinks after two washes. We only use good quality garments. The same can be said for the printing method. So when comparing quotes make sure you are comparing the same things. Some companies in the screen printing and embroidery industry have overly complicated quotes. For example, sometimes setup, shipping and design costs are extra. We won’t do this to you, and pride ourselves on our simple quotes. Hence to truly compare a quote you need to just compare the overall prices. Beware of hidden charges and remember the old cliche “If it seems to good to be true, it probably is”. We won’t surprise you with hidden costs. If the details of your quote doesn’t change our price won’t change. If in doubt, ask us to clarify. We’d be more than happy to talk through the different products and services that you have been quoted on. You can give us a call on 0800 425372 or contact us now. We handle the whole process for you, from design idea to finished garment. We take pride in our quality control, ensuring you receive an amazing final product every time. We have an extensive range of garments to choose from, making us a one stop shop. ” Thank you to Marco and the team at Custom Clothing for their commitment to GREAT customer service. We wanted to work with a local New Zealand business to produce a number of printed team t-shirts and t-back singlets for an upcoming fitness expo in Australia.